That's me, Raul Rodriguez. Check out the "About Me" if you want to know more. What's the right bass fishing lure for a specific condition? What color lure should use? What tackle to use and how to use it? How do I locate productive water? Finding bass in Spring...or Summer or any season? How do I find BIGGER bass. How do I find ANY bass? What areas should I target? Get answers to these and many other questions along with bass fishing tips and techniques and other great info to make your day on the water more productive, right here. Bass fishing can get complicated. I strive to make it easier to catch more bass and share what I learn. Ultimately, that's what we're all trying to do, catch more bass. And if you're like me, time is precious so we can't be wasting any of it on things that aren't helping our catch ratio. To get here you first got to know what you are doing. You have to understand what works and when it works. I mean sure you can go out any day and have a good fishing day cause everything just lined up. But to be consistently catching fish, that is the key. And the only way to do that is to learn what works. *Get started by getting connected so you don't miss a thing. 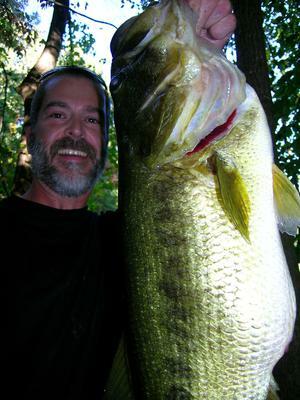 So how do you land that elusive trophy lunker? Some say it's all in the lure you use. Other's are strictly about technique. And yet others will say it's all about timing. Well to be honest with you, at least in our humble opinion, no one is wrong but no one is exactly right either. When bass fishing, it takes a little bit of everything to land a lunker. It requires having knowledge of all aspects of your gear, the conditions and your target bass in order to give yourself the best chance. So lets get started! There's bass fishing to do and you are already in the right place to gain the advantage. 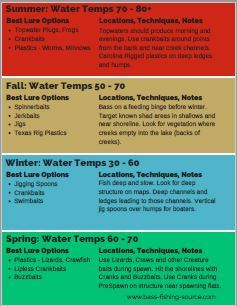 Sign up for our free cheat sheet, 10 Tips to Find More Bass and Know What Lures to Use. 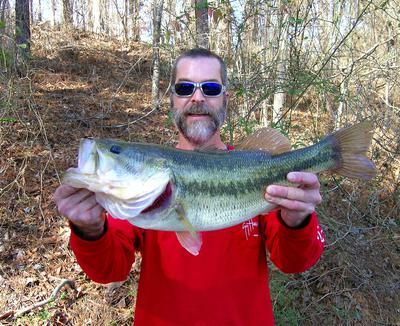 Follow us on Bass-Fishing-Source on Facebook. Another great way to stay in touch with us and our fans. Don't be the odd man out. Come join our community. Follow us on Twitter. For the social junkies that don't find enough time killing information on Facebook. Get your rod bending, line stretching fix 140 characters at a time! Now that you're connected take a look around at what we have available. Caught this nice bass from private north Georgia lake. Took only a few casts beside a fallen tree with a spinner bait. Let us know what you think! Leave us a comment in the box below.